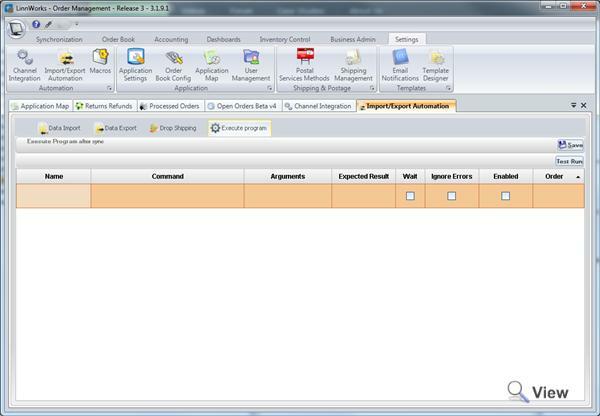 Linnworks has the ability to execute a program when it syncs. This can be useful for a number of situations such as converting XML files to CSV for import. Running custom or other applications for tasks such as CRM interfacing. 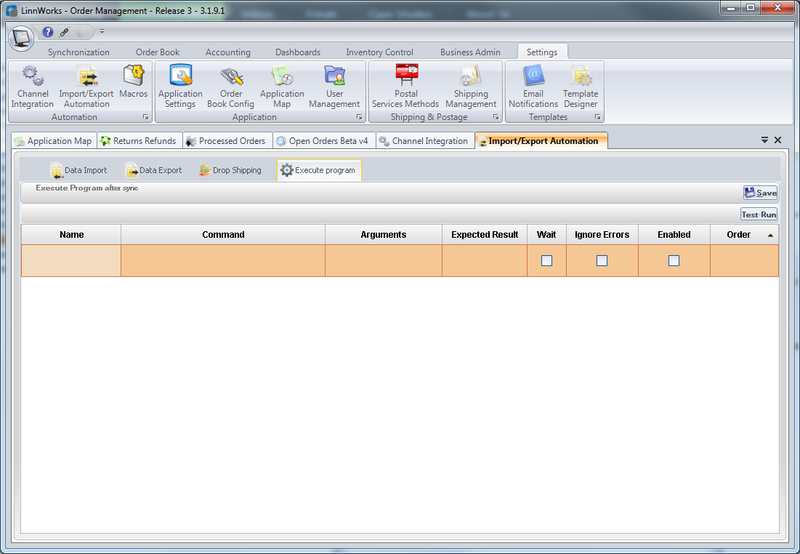 The execute external progeam feature can be found in Settings -> Import / Export Automation -> Execute Program. This feature will run on sync. To add a new program, click on new line. You can also add an expected result, this requires that the program will send something back to linnworks. Wait: If Linnworks needs to wait for a response. Enabled: If the running of the program is enabled or disabled. Order: In which order the programs will execute.